The world's leading synthetic motor oil brand teams up with DVS for a special collaborative shoe. Tony Stewart fans, this is your moment. 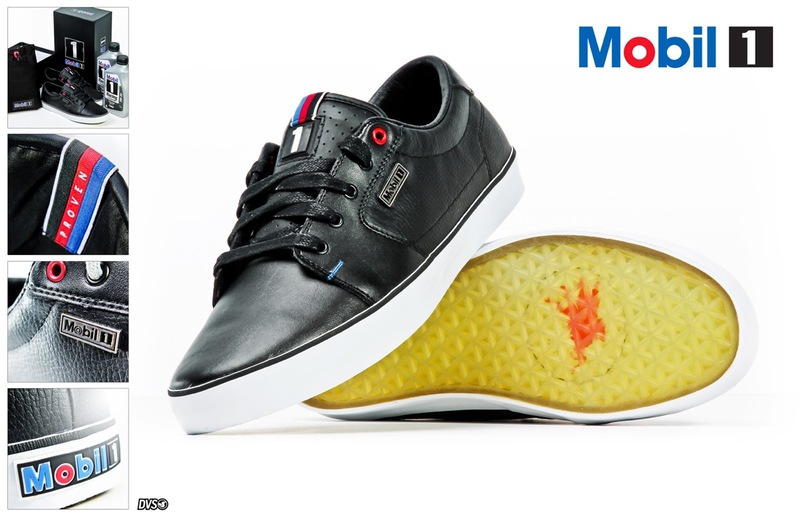 Mobil 1, sponsor of the #14 car, have teamed up with DVS to produce the Mobil 1 Racing x DVS shoe. Mobil 1, the world’s leading synthetic motor oil brand, has long been the lubricant of choice for race teams competing in motorsports series across the globe. It is relied on for its ability to deliver exceptional all around performance and protection under extreme operating conditions. The Mobil 1 brand has a storied track record of race winning performance. In 2009, Mobil 1 eclipsed the notable plateau of powering 100 Formula One Grand Prix race victories, while further wins continue to be added in various motorsports around the world. Mobil 1 uses its partnerships as a proving ground for testing a wide range of new ideas and products that ultimately influence performance, both on and off the track. To that end, Mobil 1 has collaborated with globally recognized footwear manufacturer, DVS Shoe Company, to introduce the exclusive co-branded Mobil 1 Racing X DVS Shoe. Selected for impeccable workmanship and attention to detail, DVS Shoe Company worked carefully with Mobil 1 to select key heritage, leadership and brand attributes, and authentically translate them to the shoe’s ultra clean, low profile silhouette. A premium affair at every turn, intelligent nods to the Mobil 1 brand abound. From the subtle, yet vibrant, Mobil 1 racing stripes and branding on the tongue, to the antiqued metal Mobil 1 badge and screen-printed Mobil Pegasus logo set beneath the crystal outsole, the Mobil 1 Racing X DVS collaboration is the perfect juxtaposition of legacy styling and forward-thinking performance synonymous with the Mobil 1 brand.